A wardrobe is a very comfortable thing. It can perform several functions, and many useful things can find their place in it. That is why if your family budget allows to have a wardrobe, you are a “happy” person in a domestic sense. A wardrobe is not an enlarged closet. It’s a small room. 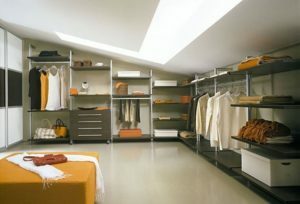 Its function is to systematize storing your clothes, domestic things and other. 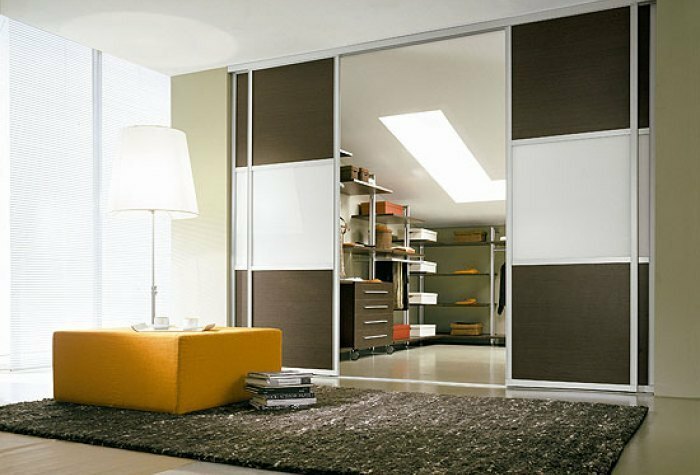 A typical difference from a closet is a totally visible space, that is, coming inside you see where the things are placed. It is even more pleasant to realize that in such a rational and practical room like this you can create a heartfelt, cozy, nice atmosphere for those, who follow the fashion, and who like trying on clothes. This room will serve well to those, who care about their looks. Clothes can be laid out or hung out according to the color, to the season, to the purpose. This kind of order will make it easy to create a mood-raising image in 5 minutes. Every person loves it when other people find them attractive, too. 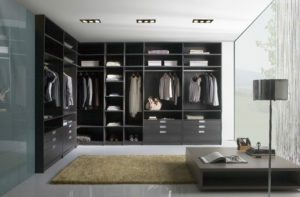 Besides, an order in your wardrobe will not let you forget your favorite things. At the same time there are some things, which should not bee seen. For instance, bed linen. A separate drawer for this kind of thing can be installed in a wardrobe. This is a recommendation of many designers for hiding all unsightly things. However, not in every house it is possible to divide household and domestic zones. 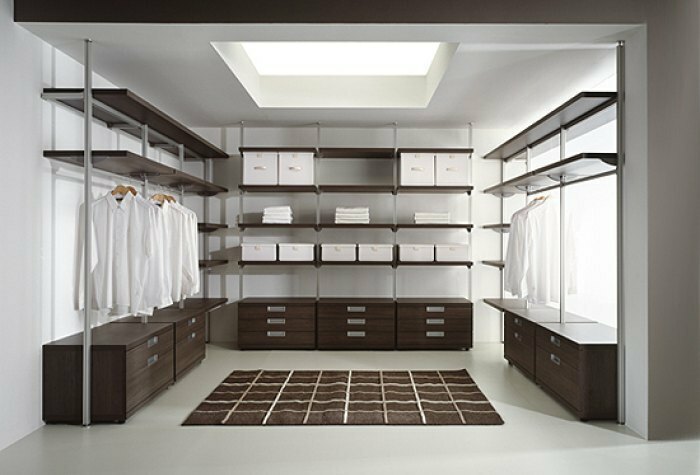 So, a separate wardrobe (walk-in-closet) is able to solve the problem of storing household goods, such as a vacuum cleaner, sports inventory, winter clothes, and others. A combination of a wardrobe and a store room is acceptable if there is space deficit. But if there is enough space, designers recommend extending this room. Why? To make storing things more comfortable. If the wardrobe is large enough, it would be a good idea to divide it into zones – for outerwear, for evening dress, for casual clothes. When planning such zones you should also consider seasonal changes. Here in Latvia we have four very distinct seasons, and a large wardrobe will make it easy to place things according to the weather. Apart from others, small things can be stored in a wardrobe. For example, women usually find it difficult to store bags, which can be many (a clutch for the theater, to visit friends, a casual purse, etc.). That is why a wardrobe can have special sections for storing bags. They can look like vertical bee honeycombs. By the way, similar shelves are good for storing folded things. You can’t help agreeing that not all shirts, blouses or jumpers need to be hung. Men mostly have problems with storing ties and belts. There exists a special kind of shelves, meant for hanging ties. Moreover, there are special small boxes and shelves with separate cells for any small accessories, including ties and belts. They are stored in these honeycomb cells rolled up where they do not rumple. Today fashionable wardrobes are performed in modern style. They have come to us thanks to designers from Germany, Switzerland and Italy. These wardrobes are easily transformed and modeled. It is even possible to find a place for a boudoir here in case there’s no place for it in the bedroom. 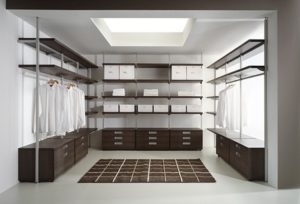 A classic wardrobe consists of furniture units fitted for dressing rooms. This is a more static style, but it can be varied by using different width, depth and the color of details. And please remember, a mirror is an accent in any wardrobe. It visually extends the space. And in conclusion, a couple of words about space. 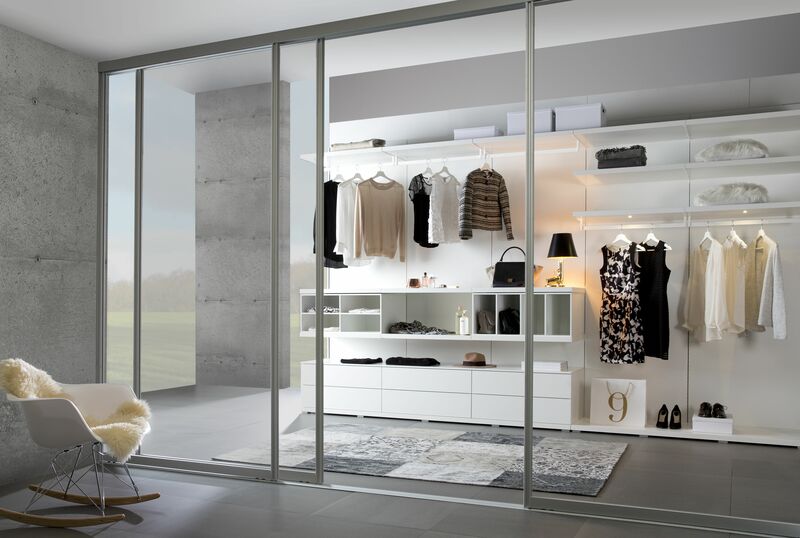 If you do not have room for a wardrobe, it can be created by installing a light partition. Thus you’ll get a kind of a combined closet – wardrobe, which is a good solution if you want to make this small space cozy. In any case, a wardrobe should not be smaller than 4 square meters. Two people should be able to come in and feel at ease. 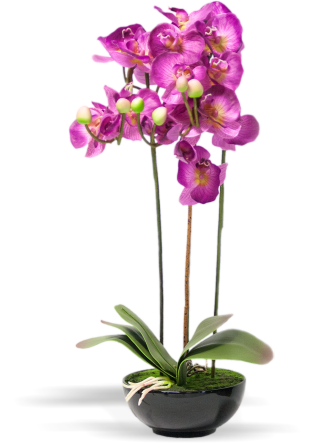 You will get more advice by addressing Davanti specialists.